Learn how your small business can get found online. What is Local SEO Anyways?! The internet and mobile search has changed the way we look for products and services. Your prospective customers are out there right now, searching for companies like yours in their own cities, towns, and neighborhoods. Your business needs to come up at the top of local search listings and Google local results so you can be found by those searchers. But, what does local search and local SEO mean and how does it differ from regular search? Local search is when you search within a specific geographic area for something. Maybe you’re in Frederick, MD and you need a new car. You might search for “car dealerships in Frederick MD,” although, local searches can be done without a geographic keyword in your search. Based on where you are physically located when you do the search, Google and other search engines will return results that are located close to you. Local SEO is a group of techniques used on your website and in your online marketing to help your business get found for those local searches. It also means that if you have an outstanding product or service, you can really differentiate yourself from the competition online, in your local market. With some changes to your website and implementing a couple best practices across your online marketing, you can have local prospects find your business. Yes, they’ll actually come to you! The four listings at the top of the page with the little yellow Ad icons are paid listing on Google Adwords. These advertisers are paying every time a searcher clicks on one of these links and goes to their website. Directly underneath the ads are the Google local search results, otherwise known as the Local Stack or 3 Pack. These local results are blended and include both website and local information to decide who shows up here. A searcher’s physical location will impact the search results in the 3 Pack, even if they don’t use geographic keywords in the search query. Then we see the organic results or the natural SEO listings. Showing up here takes some of the same factors into consideration. 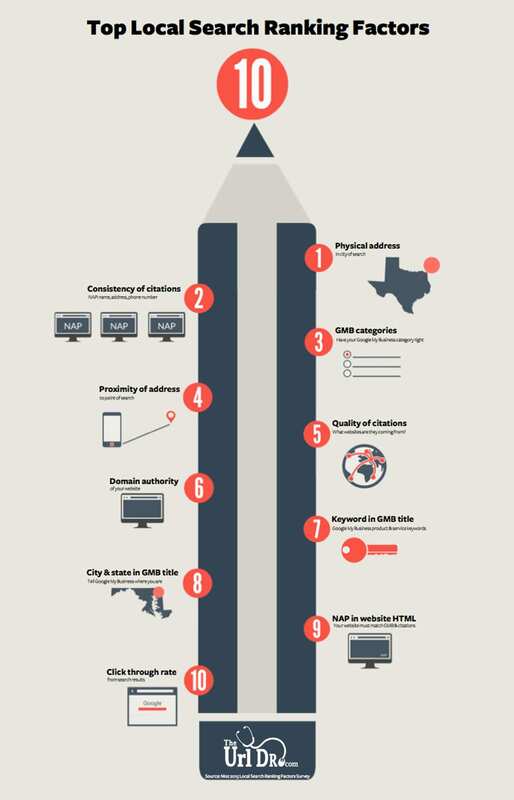 Online profiles that impact your local search rankings. A local business listing or citation is an online profile that contains your business name, address, phone number and other information about your business and your location. 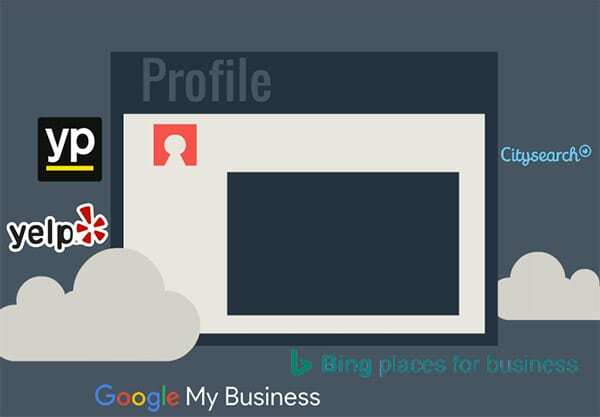 There are thousands of websites, directories and review sites online that allow local business owners to create free business listings, like Google My Business, Yelp, City Search, Bing Places, and the Yellow Pages, just to name a few. All these online listings make your business more visible. Every time your business gets a new directory listing, it increases the chances that more searchers will find you. So the more listings you have, the more these directories trust the accuracy of your business information, which increases your chances of ranking in local search. If you want to show up on Google, claim your GMB listing. 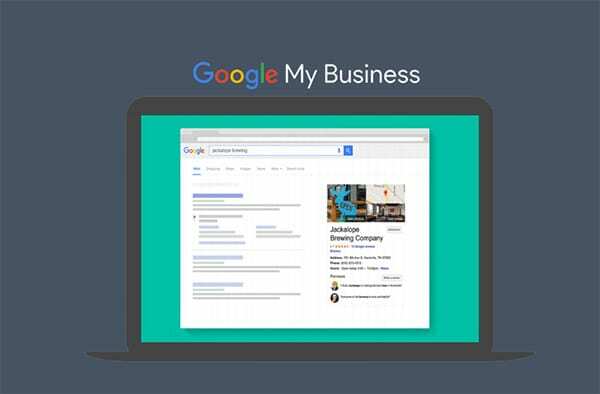 In any Local SEO activities, the first thing you’re going to want to do is claim your Google My Business listing. Your ability to rank on Google in the local listings and show up on Google maps is dependent upon an optimized Google My Business listing. Use your real business name and your current address and phone number. 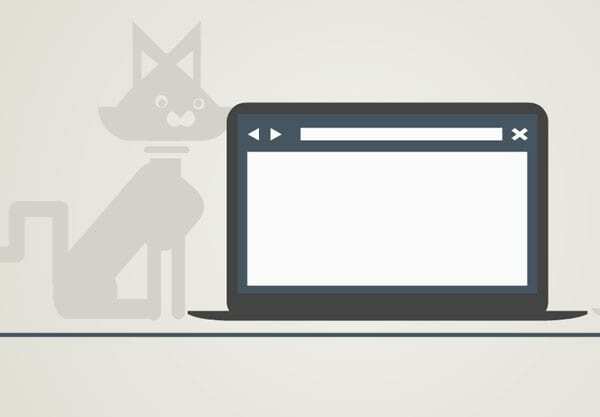 Make sure that this information matches what’s on your website. Fill out your profile completely and include your web address. Spend some time writing the descriptions and use relevant keywords. Include pictures, video, your hours of operation, and payment methods. Be sure to pick the categories that best describe your business. Don’t pick a category just because you think you’ll get a lot of traffic. When you’re done submitting your listing you still have to verify it. Don’t forget this important last step. What your customers say about you online is really important. When was the last time you made a hotel reservation without first checking the online reviews? Review sites have changed the way we frequent certain types of businesses, but reviews aren’t just for hotels, restaurants, and retailers. 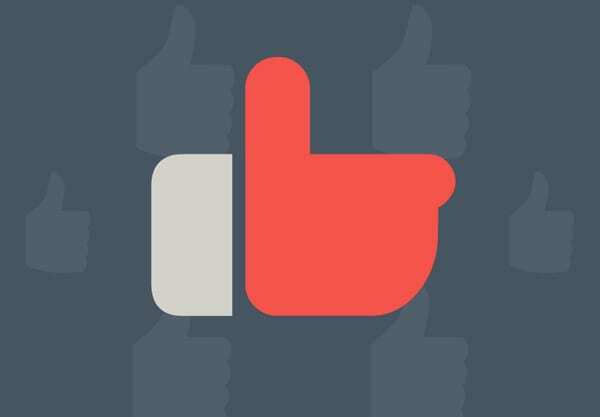 Online reviews can have a huge impact on whether or not a prospective customer is willing to try your product or service. It’s imperative to get your best customers to leave reviews of your business online. It’s also important to monitor reviews and take action if a negative one appears. What can you do to make things right with an unhappy customer? Be aware that different platforms have different rules about whether or not you can solicit customers for reviews. Yelp doesn’t allow solicitation. Google allows you to ask for reviews but you can’t tell customers what to say. Space your request for reviews out. You want them to look natural. Get in the habit of asking for reviews on a regular basis so you have a steady stream of them showing up online. From your website to your social media, these activities can help make or break your local search rankings. Your website is really the core online marketing piece your company has. All your marketing activities and social media, stem from your website. A local business with a professional looking website with clear information presented, has a distinct advantage against local businesses where their website is an afterthought or non-existent. A couple of website best practices you want to have in place are: a mobile friendly, responsive design; using quality web hosting with fast loading pages; your business name, address, and phone number (NAP) on every page of your website; and dedicated web pages to each of your retail locations or offices. More people are using mobile phones to find products and services close to home and then asking their friends on social media for their opinions and recommendations. 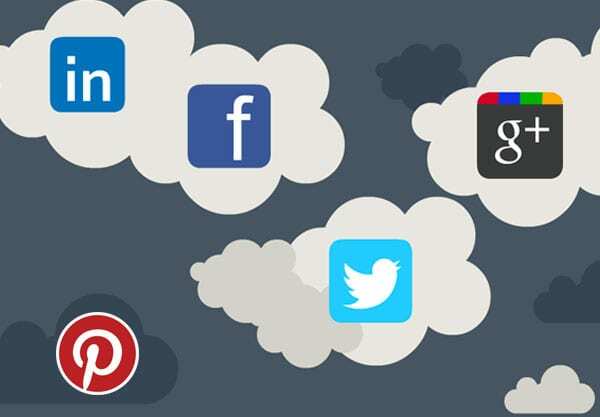 Make sure your business profile is completely filled out on each of the social networks, including contact information where it is permitted, and a link back to your website. Use hashtags with a geographic target to catch people in your area. If you participate in local events or support local charities or nonprofits, be sure and post, tweet, and pin it up on your social media. Email should play a big role in your local efforts and it’s the perfect partner to social media. It’s important as you’re tweeting and pinning and liking and following that you’re also collecting…people’s email addresses. As you collect email addresses through your social activities and through your website, segment where they came from and what kinds of prospects or customers they are. That way you can target your message to the right groups. Send regular emails to your audience. 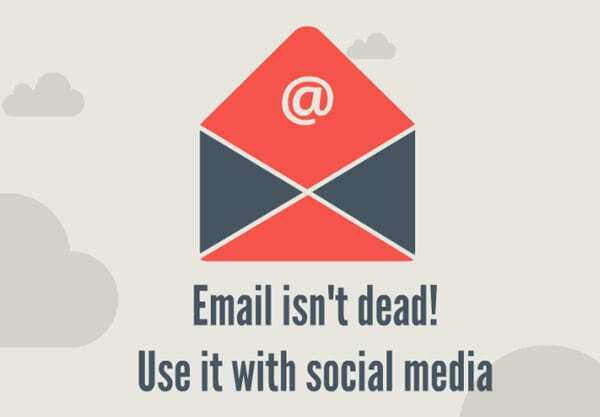 Be sure and include social share functionality so your recipients can easily share that email with their friends. 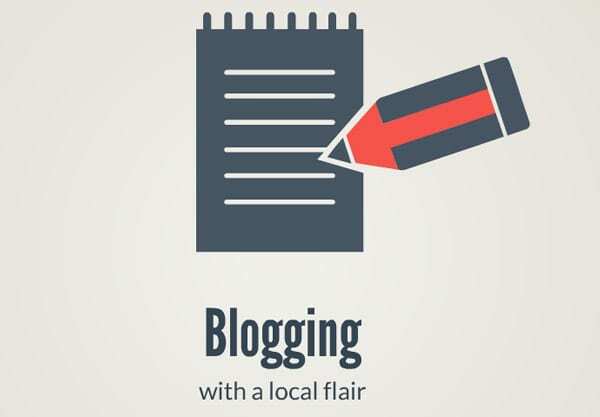 Blogging on a regular basis is a another great way to get more eyes on your website and your business. Fresh content that is relevant to your industry, product, or service can help you establish better natural search engine rankings and can help improve your local search rankings. Since Google’s Pigeon Update, website content has become more important than ever for local businesses trying to gain visibility in search. Since 2012, Google has returned blended results for local search queries. There are many different factors that the Google algorithm uses to decide who comes up in first position vs. who gets stuck in position 549. We all know that if you’re not on the first search results page, your chances of getting found are slim. So what exactly is impacting those search results in local searches and what can you do to get a better search rank? Bottom line is none of us, except Google, knows for certain what is in that magic algorithm, but our friends over at Moz survey experts in local search every year to come with everyone’s best guess of the top Local Search Ranking Factors. Small businesses can get found online. Local SEO can heavily impact whether or not your audience in your own town or city is finding your business. 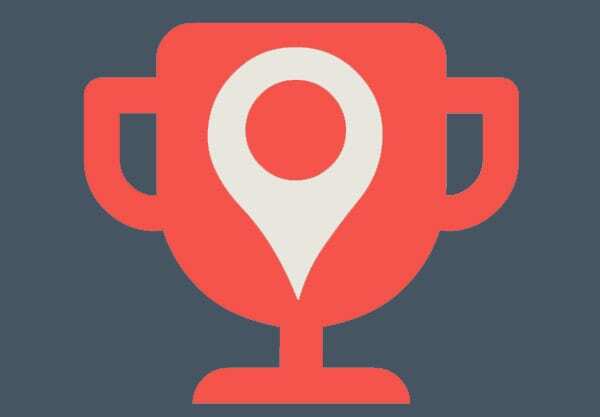 But with some time and attention to Google My Business, placing directory listings, getting reviews from customers, participating in social media and adding local themed content to your website, you can beat the competition in the race to place in the local search results. 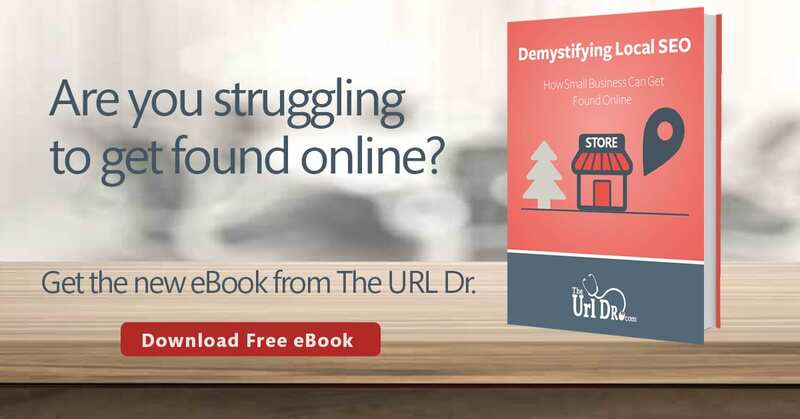 Download our free ebook, “Demystifying Local SEO,” for more detailed instructions on exactly how to work local SEO into your marketing plan. to get found by local customeers. The URL Dr. is an independent, North Carolina based online marketing and e-learning content creation agency that specializes in helping small businesses be more successful online. We offer online marketing services, animation and voice over for e-learning courses, e-commerce consulting, and web services for small to mid-sized companies.